Welcome back to our blog! Last time, we explored the wild world of gophers and talked about what they are and why they’re so destructive to residential properties in Southern California. These little critters are not the only rodents to invade people’s yards, however. Mice are another notorious dweller found in homes and businesses in and around Orange County. While mice are cute when seen in movies and cartoons with their tiny beady eyes, sprouting whiskers, and giant ears atop their tiny bodies, they aren’t so cute when they’ve invaded your home. Not only do they carry diseases, they are also quite destructive as they chew on electrical wiring and air conditioning ducts. They are drawn to any and all food, so they typically chew on food bags and boxes stored in kitchen pantries to reach the food held within. Additionally, they leave trails of mice poop and urine anywhere they please, which is just gross and extremely unsanitary. 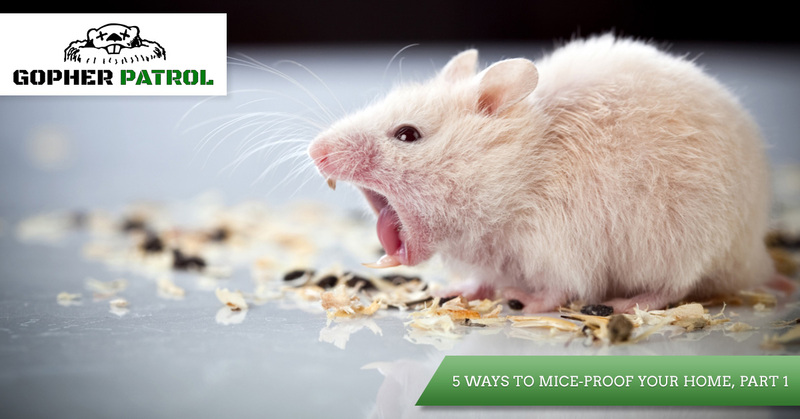 Because they are one of the most common rodents here in SoCal, we would like to look at some of the best ways to mice-proof your home so that you can live in a comfortable, safe, and pest-free home. You hear scurrying noises in the attic, walls, and ceilings. You notice chew marks and holes on food containers in the pantry and cupboards. You find mice poop in kitchen, bathroom, and bedroom drawers, and vents. You find urine stains under a blacklight. You notice chewed wiring and air ducts. You find signs of mice nests. Bay leaves – This is a common herb used in soups and sauces. Its strong odor is unpleasant to mice, so placing dried bay leaves in the corners of your kitchen pantry, cupboards, and drawers, or even sprinkling crushed bay leaves along windowsills can deter mice. Mint – Mint is one of the best natural pest deterrents because it helps repel both mice and bugs. Sprinkle peppermint around window sills and cupboards, or make a peppermint essential oil solution by mixing about 20-30 drops in a spray bottle of water. Spray this solution throughout your home, and especially around possible entryways like vents and air duct openings. Mint is a common weed found in yards in Orange County, so you can even place fresh mint around your home to repel mice. Cayenne and Black Pepper – Mice hate the smell of pepper. Because sprinkling these spices around your home is messy, try soaking cotton balls in water and then dip them in cayenne and black pepper instead. Place the cotton balls on pantry shelves, on kitchen closet floors, and in cupboards where food is stored. You can also tuck these pepper balls in locations around the home, especially in or near vent openings. 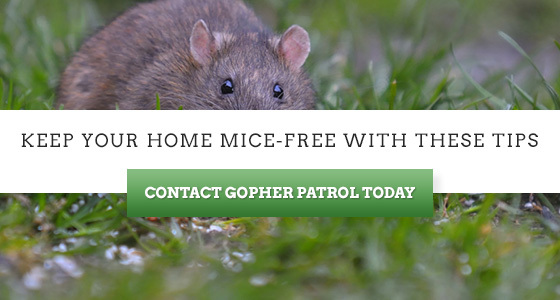 Calling Gopher Patrol is one of the most effective ways to not only get rid of your mice problem, but to also prevent them from coming back. We offer a rodent eradication program that involves sealing off all possible entryways, and we then set mice traps to get rid of them in a safe and humane manner. If you have noticed any warning signs telling you have mice in your home, you need to stop the problem right away before it gets even worse. Mice are proficient breeders, and the last thing you want is for existing mice in your home to have families, therefore creating an even bigger problem. 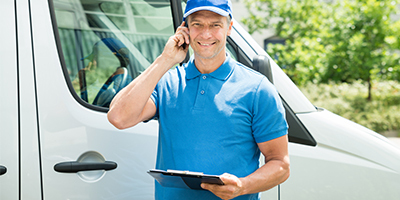 Call Gopher Patrol today for the most effective rodent and pest control in Orange County and take back your home today! 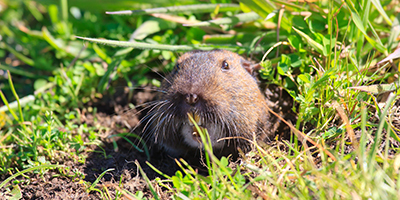 Be sure to tune in for part two of this short blog series to learn even more ways to protect your home from rodent invaders.